Abstract: This twelfth episode stands in the light of the MJ Academy and the forthcoming book of Elizabeth Amisu, editor of The Journal of Michael Jackson Academic Studies. Karin has Elizabeth as her guest to interview her on The Dangerous Philosophies of Michael Jackson: His Music, His Persona, and His Artistic Afterlife. They talk about the critical essay in the book, the process of writing, the sources Elizabeth used for her research, section one of the book ‘Art as Life’, and the brand new course Teaching Michael Jackson Studies. Merx, Karin, and Elizabeth Amisu. 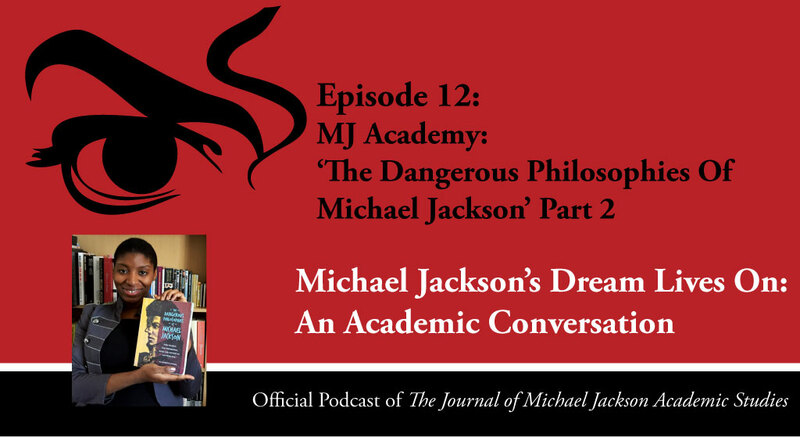 “Episode 12 – MJ Academy: ‘The Dangerous Philosophies’ Pt. 2.” Podcast, Michael Jackson’s Dream Lives On: An Academic Conversation 3, no. 1 (2016). Published electronically 07/08/16. http://michaeljacksonstudies.org/episode-12/. 1. Can you explain what a critical survey is and what its purpose is? 2. What sources did you use to write The Dangerous Philosophies of Michael Jackson? 3. Can you tell us a bit of your process of writing? 4. Can you take us through the first section of your book? 5. Can you tell us a bit more about your new course? Karin Merx BMus, MA, is editor of The Journal of Michael Jackson Academic Studies, and author of ‘A festive parade of highlights. La Grande Parade as evaluation of the museum policy of Edy De Wilde at the Stedelijk Museum Amsterdam’. Find out more about Karin here. 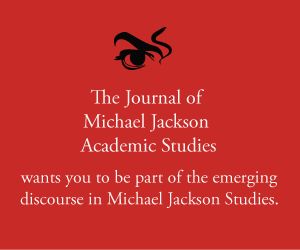 Elizabeth Amisu, PGCE, MA, is editor of The Journal of Michael Jackson Academic Studies and author of The Dangerous Philosophies of Michael Jackson: His Music, His Persona, and His Artistic Afterlife. Find out more about Elizabeth here. 1. Elizabeth’s first interview – Author & Text: ‘The Dangerous Philosophies of Michael Jackson’ Part 1. 2. Our latest interview with Jamon and Q of The MJCast, available here. 3. Certified Teacher of Michael Jackson Studies Online Course: Six-Lesson Online Video Course with Elizabeth Amisu. 4. Free Video Series – MJ Study Must-Haves: 5 Reasons To Re-Read ‘Moonwalk’. 5. Free Video Series – MJ Study Must-Haves: 5 Reasons To Annotate ‘Man In The Music. 6. Michael Bush, The King of Style: Dressing Michael Jackson (Insight Editions 2012). 7. Joseph Vogel, Man in the Music: The Creative Life and Work of Michael Jackson (Sterling, 2011). 8. Joseph Vogel, Featuring Michael Jackson (Baldwin Books, New York 2012). 9. Almond White, Keep Moving: The Michael Jackson Chronicles (Resistance Works, 2009). 10. Michael Jackson issue of The Journal of Pan African Studies, vol.3, issue 7 (2009). 11. Michael Jackson, ‘Love: The Human Family’s Most Precious Legacy’, Oxford University ( 2001). 12. Writing software for authors and academics, Scrivener. 13. Elizabeth Amisu, ‘On Michael Jackson’s Dancing the Dream‘, in The Journal of Michael Jackson Academic Studies, vol.1 issue 2 (2015). 16. Certified Visual Art of Michael Jackson Online Video Course: Six-Lesson Online Video Course with Karin Merx. 17. Andy Healy, MJ 101 Series http://www.mj101series.com. 18. Francesca T. Royster, ‘Hee hee hee’: Michael Jackson and the Transgendered Erotics of Voice, The Journal of Michael Jackson Academic Studies, vol.3 issue 3 (2015). 19. Francesca T. Royster, Sounding like a No-No: Queer Sounds & Eccentric Acts in the Post-Soul Era (University of Michigan Press 2013).